10 bottles 0.5l Urbock. 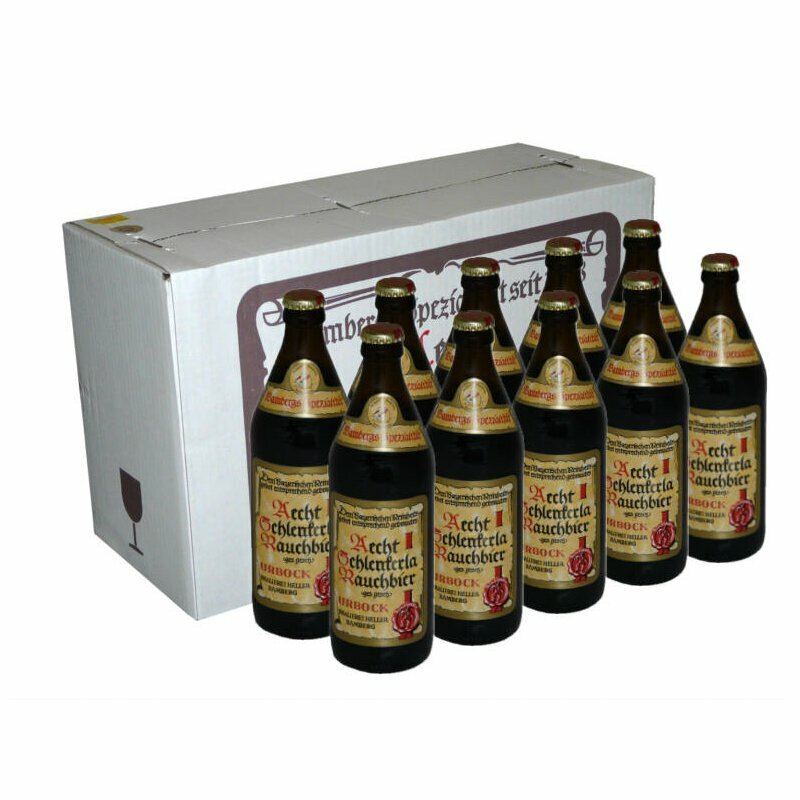 Fall is bockbeer time in Bamberg and at Schlenkerla. According to old tradition, as early as May the Original Schlenkerla Smokebeer - Urbock is being brewed. After the brew in classic copper kettles, it matures for months in the historic cellars underneath Stephansberg. Those are part of the tunnel system of Bamberg, which is more than 700 years old. As the temperature there is constantly at around 8°C they have been used by Bamberg brewers for centuries to mature and lager their beers.